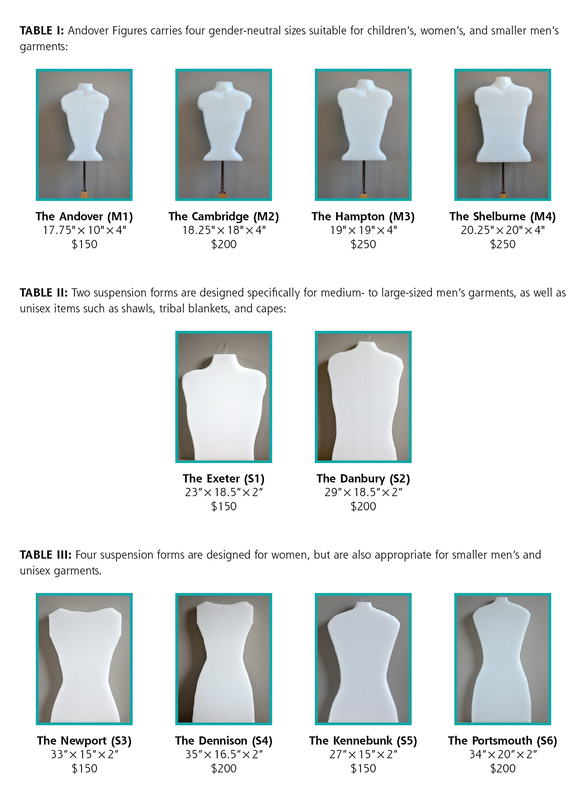 To determine which Andover figure is right for you, answer the following two questions—What type of garment you are displaying? Where are you displaying it? If you plan on having people view all sides of your garment, the Andover Figures manikin is ideal. Voluminous skirts or other garments with complex shapes need the support of the manikin for proper display. Items such as pants, shorts, and bathing suits should not be displayed on a manikin because we do not recommend making a hole in the garment for a central pole to pass through.